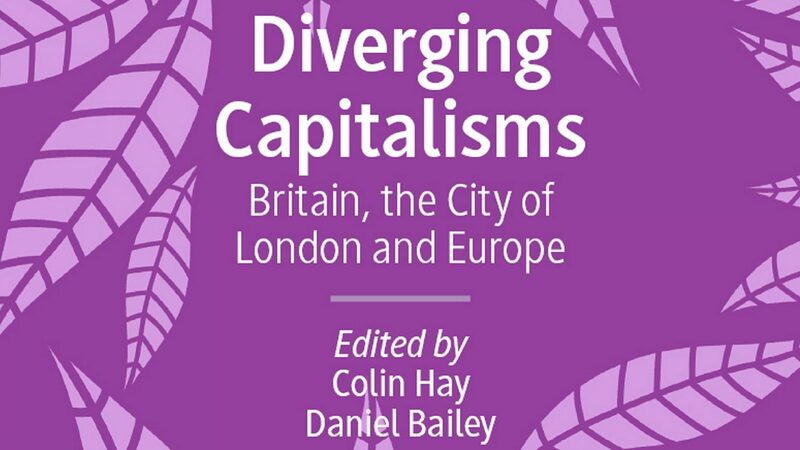 We are very pleased to announce the publication of Diverging Capitalisms: Britain, the City of London and Europe, a new edited collection by Professor Colin Hay, Director of SPERI, and Dr Daniel Bailey, Post-Doctoral Research Fellow at the University of Manchester and former researcher at SPERI. The chapters in the collection consider the impact of the global financial crisis, the Eurozone crisis and Brexit upon varieties of capitalism in the EU, question the sustainability of the UK’s growth model beyond Brexit and examine the future of social democracy in Europe. The publication of Diverging Capitalisms is the culmination of a highly successful joint research project between SPERI, the Foundation for European Progressive Studies (FEPS) and Policy Network. The chapters are drawn from papers that were given at four workshops held between 2015-17 in London and Brussels which each considered different aspects of the relationships between Britain, the City of London and Europe. Diverging Capitalisms is published in SPERI’s series with Palgrave Macmillan ‘Building a Sustainable Political Economy’ and is available in hardback or e-book format. Individual chapters can be bought in e-book format.